PSA software help service oriented companies in optimizing and streamlining their business, relying on a set of organizational tools such as data gathering, data sharing, analytics and metric generation. It helps professional service providers manage client engagement throughout the project lifecycle. 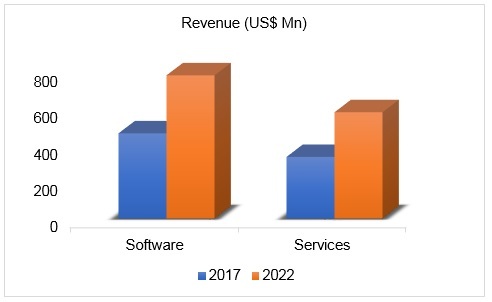 The professional service automation (PSA) software market, in terms of revenue, which was estimated at US$ 802.3 million in 2017, is expected to reach US$ 1364.07 million by 2022. Professional service automation software provides the perfect alternative to the array of separate time tracking, invoicing, project management, resource planning, business intelligence and collaboration tools that are being utilized by many teams in the corporate structure. The PSA software was initially developed to address the concerns of the professional service sectors, which included consultants, lawyers and other professional service teams but now it is witnessing a wider adoption in project-based industries. The main driver for the wide spread adoption of PSA software is the improvement in profit margins from the deployment of these software. The centralization of project data enabled through PSA solutions provide visibility into performance metrics like cost, revenue, profit margins, and utilization. However, with PSA implementation, the clashes between a new system and an already established enterprise system arise, thereby obstructing the growth of the industry. 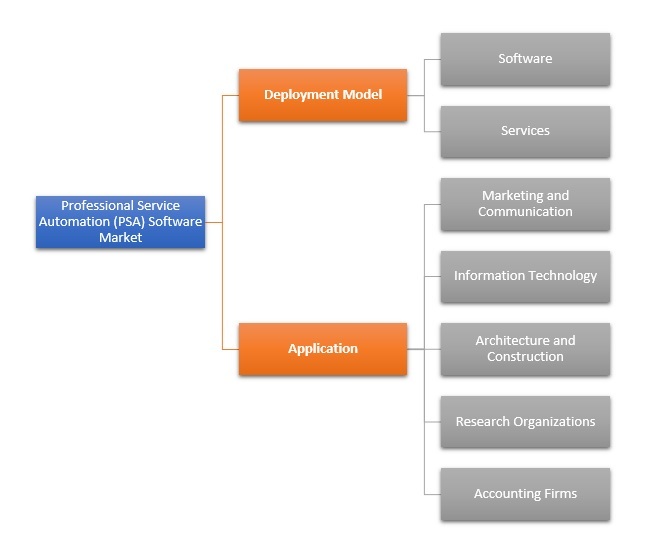 On the basis of deployment, software segment is expected to be the largest segment in global professional service automation (PSA) software market. The enhanced transparency in processes of a project such as time tracking, billing invoicing, expense management, and resource and labor allocation that is brought out by the deployment of PSA software is driving the demand for this software globally. Various industries have recognized the pivotal role PSA software which plays an important role in increasing the efficiency and productivity of their projects and hence are instrumental in driving the market forward. 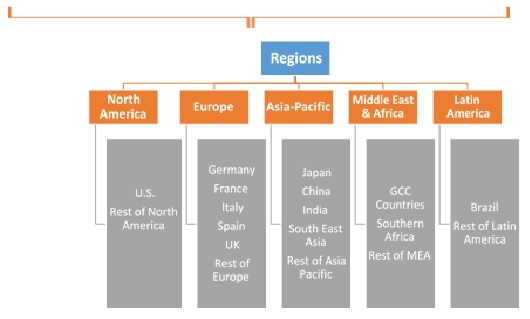 On the basis of geography, North America held the largest PSA software market share in terms of revenue. This growth is attributed to the rapid adoption of technologies in the industries located in this region. Along with this, the investment in the deployment of these software is the highest in North America. The U.S. constituted approximately 86% market share in this region. The report provides both, qualitative and quantitative research of the market, as well as provides worthy insights into the rational scenario and favored development methods adopted by the key contenders. The report also offers extensive research on the key players in this market and detailed insights on the competitiveness of these players. The key business strategies such as mergers & acquisitions (M&A), affiliations, collaborations, and contracts adopted by the major players are also recognized and analyzed in the report. For each company, the professional service automation (PSA) software market report recognizes their manufacturing base, competitors, product/service type, application and specification, pricing, and gross margin. Some of the primary market participants are Atera Networks Ltd., Changepoint Corporation, Clarizen, ConnectWise, Inc., Deltek, inc, FinancialForce.com, Inc., Harmony Business Systems Ltd., Infor, Kaseya Limited, Kimble Applications Inc., Mavenlink, LLC, Oracle Corporation, Projector PSA, Promys PSA, SOFTRAX, Inc. (a subsidiary of AFS Technologies, Inc.), Unanet Technologies, Inc., Upland Software, Inc., Vista Equity Partners LLC (Autotask Corporation), Workday, Inc. amongst others. 13.7. Harmony Business Systems Ltd.